Our homes need strong, reliable WiFi signals to keep all our devices connected to the web. Netgear routers give you the widest range of WiFi connection speeds and features to meet your home needs for browsing, gaming, music and video streaming and more. 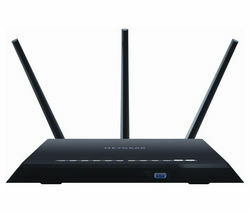 Netgear was the first to introduce the world’s fastest WiFI router . 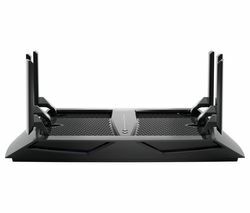 Today the Netgear router range incorporates the latest advances to keep your home’s WiFi connection as strong, stable and fast as possible. Netgear produces routers that are designed to meet the needs of small households to very large homes, including 802.11ac models – 802.11ac technology is the world’s fastest WiFi, three times faster than 11n. Many of Netgears’ top performing routers feature Beamforming+, which follows your connected devices, including your laptops, phones and tablets, and focuses the WiFi signal for optimum speed and range. Dual and Tri-Band router models keep you connected and virtually immune to interference from appliances, while Netgear Genie makes installation easy and gives you useful functions like parental controls and guest access. Whether you’re an occasional web browser, a multi-device family, or a serious downloader there’s a speedy, solid and reliable Netgear router to suit your needs.